While Android’s preference over other mobile phones operating system is because of the availability of optimized services and customized opportunities that it provides to its base users. The Launchers are the most compatible parts of Android. 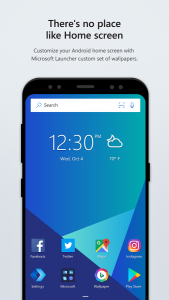 Android smartphones are not customized without a launcher, which enhances the home screen of your device and all the Apps catalog that are available on your smart phones. That’s why, every device have a default launcher that is pre-installed for users facility. The Android Launcher enhance their features and become more efficient over by passing years. 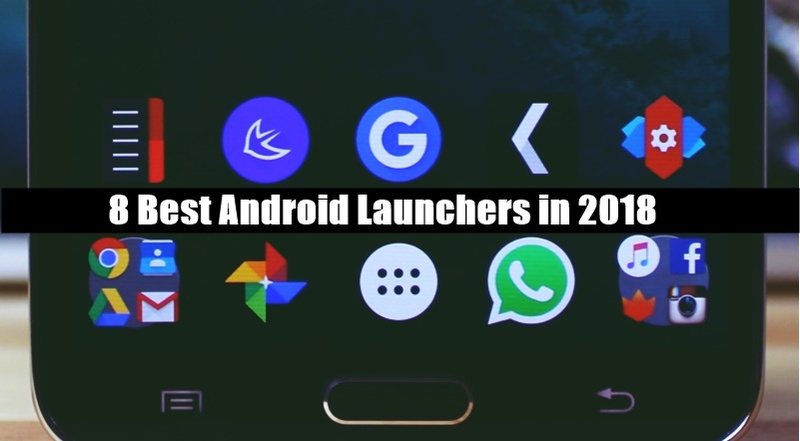 We have offers a list of Best Android Launchers, that are save and secured by browsing troubles over a number of launchers that are available on Play Store. NOTE: You are recommended to choose any one of the following described below according to your needs or requirements. 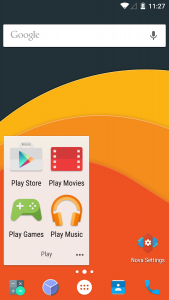 The Nova Launcher is the top launcher for modern Android among all. The highly customized, performance driven, home screen and butter smooth launcher which i have been used over some years till now. It is fast, smart in its working, light-weighted and Icon packs are available to change the look and feel. This launcher supports frequently used apps as a top row in the app drawer, icon customizations, dozen of gestures and many others. It also play services for app shortcuts that are found in Android Nougat. Unlock a lot of useful features being found in latest version and is definitely worth a try. Evie launcher is especially designed for working performance and is ranked one of the fastest Android launchers. 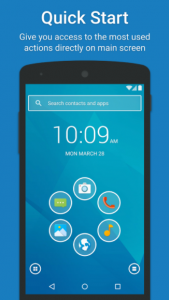 Most of the users prefers this launcher swears because of its smoothness and switched to it. Its Search engine helps you to search within your apps from one place and get what you want. A wide range of home screen shortcuts and customization makes it users priority. While, you can also customize your app drawer and folder grid. It serves icon packs support which you can download and enjoy its services. One downside is that you won’t find many gestures in this app. This launcher has a speed guaranteed and quite simple and light-weighted. 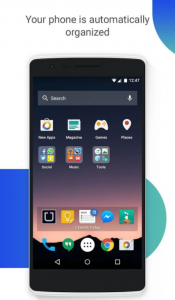 Buzz Launcher is smart and free customization launcher in Android. 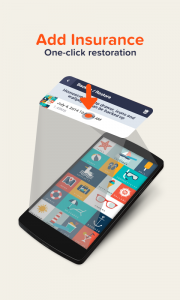 It enables you to apply shared Home screens to your own smartphone. A home screen customization service with more than 700,000 home screens uploaded and shared by thousands of users is uniquely identified feature “Homepack Buzz” . It has an inbuilt app-locker and RAM cleaner, so you haven’t need additional apps for that purpose. With just a swipe of finger on home screen, you can enjoy access to a lot of gestures shortcuts that are available for user ease. Another feature called “Screen Effects” is available within the app which is similar to live wallpaper, it overlays the wallpaper animations effects i.e, ‘snowfall’ or ‘autumn leaves’ floating on your screen without replacing your wallpaper. You will never get annoyed tired of all the customization services available in Buzz Launcher. Apex launcher is a splendid because of it potential to give a complete makeover. It also offers stunning visually launcher with thousands of themes and icon packs that you can download from Play Store. It is a lightweight launcher optimized for both smartphones and Tablets. You can hide apps what you don’t want to show and add up to 9 customizable home screens and in your app drawer. The launcher sorts apps in the app drawer according to the title, installation date or how frequently you use them. Purchasing the pro version will unlock more gesture options, powerful app drawer customizations, and enjoy its access to more others features. It’s the super fast Android launchers are pocketnow. 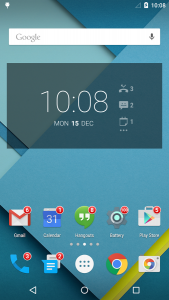 As its named, EverythingMe it’s all-in pocket carrier Android launcher. It recommended as the Best app for you. On your home-screen there is a swipe option that will take you to “Quick Contacts” to access your frequently used contacts. “WeWatch” is another screen where you will find news feeds. The launcher delivers the best by observing the user. 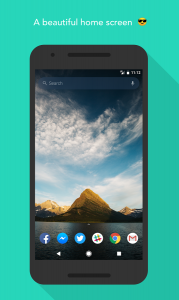 Smart Launcher 3 is a “lightweight” Android launcher which uses Artificial Intelligence for different processes like app searching, contacts, and web content. It consists of a sidebar that separates all apps. It consists of a “smart turn off” feature that automatically turns off the screen when the phone is laid down. 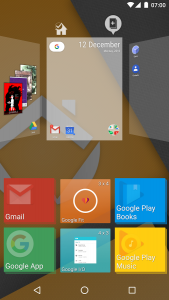 Microsoft Launcher is a unique launcher which was called Arrow Launcher initially.It consists of a layout that resembles “Microsoft“. It uses “Bing” search engine to update new wallpapers on daily basis. The “Home screen” of this launcher resembles “Google Cards“. It can merge duplicate contacts if a user have. The best part of this Launcher is that it is available in all the major languages. ADW launcher is a fast and customizable launcher. It supports interactive interface color conversion according to the wallpaper dynamically. The best part of this launcher is it also supports launcher shortcuts, transition animations, icon badges, and many more useful features.